It is becoming very easy for investors to get ahead of themselves thinking that from here on out, incoming economic data should be a lot more rosier than last year's. However, such early anticipation could end up in massive losses if conditions are once again weakened. 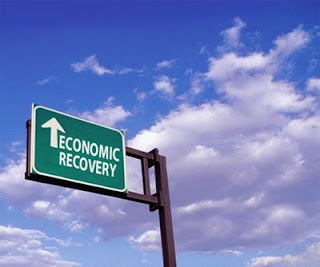 I was very surprised to even see the market end up, despite some discouraging employment data that was released today. However, market volume levels remain record setting low, which could cause for the lack of reaction (no one is in the market!). Analysts were expecting flat numbers to come in regarding job losses for December. However, an estimated 85K jobs were lost in the big holiday month, which relatively speaking, is much worse than expectations. Sure, it's not the -500k number we saw in some months last year, but for a December, holiday month, which is suppose to be on the forefront of a recovery, today's results are not good news. In my opinion, businesses are not done trimming the fat. Corporate cuts are never fun or encouraged during the holiday season, which is why many save the bad news for the first few months of the new year. It gives the company a new beginning with new faces at new positions. Considering last year was a year that many companies will like to forget quickly, I expect quite a bit of new faces and changes. Not only was employment data rather dismal, but consumer credit numbers came in horrible. A $5 billion loss was expected for the month of December. However, analysts were shocked when a 17.5 billion loss was the actual results. Sure, the measure can be quite volatile, which is why many don't pay too much importance to it, but the variance was a bit much for my liking. Credit tightening is something that can and will be detrimental, to this attempt of recovery. There are many different distractions going on in the market. When evaluating the performance of the market in the 30's and when compared to our performance now, we really do not differ much yet. When you transfer the rebound that occurred, which lasted 224 days, in today's terms, that would put us at 10,544 at Dec. 27th. Sure, this date has come and gone, and no crash thus far, but it is important to take holiday skewed volume into account. If indeed this comparison held true, a drop in the Dow to 7,960 by July 17, 2010 would be the next move. Of course, this data cannot be compared as apples to apples, but it is interesting to see just how closely we have moved with depression crash. It is a friendly reminder that we are not the first to experience such a quick, rapid rebound in markets following a devastating crash. The market will most likely begin to find its trend this coming week. Extended holiday travelers will most likely be returning home, as most schools are back in session. Sidelined money is becoming itchy and anxious investors are running out of patience. Look for some good moves this week. Happy Trading. Their can be no real recovery until theirs some real jobs being created not just low wage part time jobs.